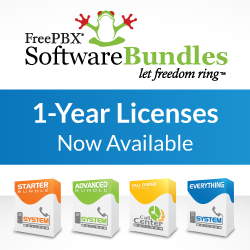 Are you offering FreePBX as a Hosted application/Cloud Offering to your customers? Do you currently offer your customers SIP trunking services on a monthly subscription model? Are you interested in exploring a possible exit strategy for your business? Would you like to bring your customers into a larger entity with more resources? Are you tired of being the person/company who does everything and competing with the big boys, yet never being able to take time off for fear of what will happen to your customers when you’re away? If you answered yes to some or all of the questions above Sangoma would like to hear from you. We are looking for possible acquisitions of SIP Trunking and Hosted PBX providers and have completed a few of them the past couple of years. We are looking for companies all over the globe, with recurring revenue that use Sangoma/FreePBX in your platform. Please contact us by sending us an email to buyme@sangoma.com and someone from our team will reach back out to you and to explore the possible fit for us together. This is a confidential email address, and any correspondence as well as follow up discussions, will be handled privately and with discretion.